Manufacturers will pay a levy based on the amount of sugar added to beverages. A ‘sugar tax’ on soft drinks has come into force today in the UK. From Friday 6th April manufacturers will pay a levy based on the amount of sugar added to beverages. The government and campaigners hope it will reduce obesity levels and improve health. High sugar consumption has been linked to weight gain, which is a risk factor for several diseases including cancer in adults. By applying the levy, the government is encouraging brands to alter their recipes and lower the amount added sugar in order to pay less tax. Already, many leading brands such as Ribena, Irn-Bru and Lucozade have slashed their sugar amounts, while others have reduced the size of their bottles. 18p per litre on drinks that have a total sugar content of 5-8g per 100ml. This is sugar content of 5-8%. 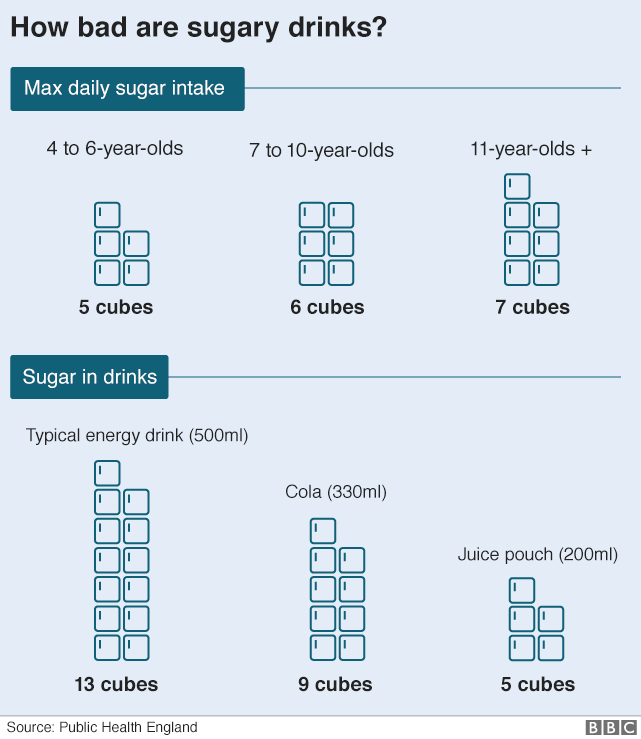 24p per litre on drinks that have a total sugar content of 8g or more per 100ml. This is sugar content of 8% or above. Similar taxes are already in effect in the Mexico, France and Norway.